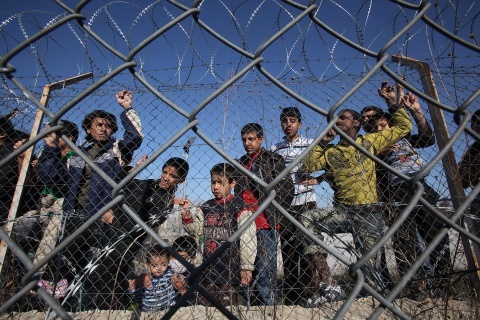 Bulgaria has struggled to deal with a wave of over 10,000 refugees, mainly Syrians, from 2012. The Authorities have basic facilities ready for only half of them. The influx caught the government unprepared. It is now rushing to build new shelters and improve the miserable conditions at the existing ones. It has asked the EU, the Red Cross and other international organisations for financial assistance. In an attempt to limit the influx it deployed over 1,000 police officers along its border withTurkey. The EU’s poorest country has largely completed the construction of a 33-km (21-mile), three-meter-high barbed wire fence, which has a price tag of €3m ($4m) at the border with its southeastern neighbor. Following the example of Greece, which built a similar barrier in 2012 to cope with a soaring number of refugees. “This is a facility that prevents the illegal crossing of the border. The aim is to transfer such attempts to the border check points as it is done in every other country,” Defense Minister Angel Naidenov told reporters at the border. In April, campaign group Human Rights Watch (HRW) said in that the Black Sea state violated the rights of asylum seekers by forcing them back across its border into Turkey, sometimes violently, and failed to provide basic humanitarian assistance. Bulgarian authorities have denied any wrongdoing and branded the allegations as “blatant lies which can be easily verified”. The United Nation’s refugee agency UNHCR has repeatedly appealed to the Balkan country to have an “open door policy” and has expressed concerns about pushbacks at the border with Turkey. More than two and a half million Syrians have fled the war in Syria, most of them to neighboring Lebanon, Turkey and Jordan. The surge in refugees is igniting xenophobia in a traditionally tolerant society. On November 9th skinhead extremists beat up a Bulgarian Muslim, apparently mistaking him for a Syrian. Earlier in the month the stabbing of a 20-year-old shop clerk in the centre of Sofia led to the arrest of an illegal Algerian migrant a couple of days later and protests by nationalists. Far-right parties are on the rise. According to a poll by Alpha Research, 83% of Bulgarians see the influx of refugees as a risk to national security. Support for Ataka, an ultranationalist party, which has 23 seats in parliament, has doubled in the past two months. And on November 9th a new nationalist party was founded, promising to “clean up the country of this scum, these immigrants”.